Easily utilize the Cloud Penetrator in your diagrams. Find out how to deploy the Cloud Penetrator Web Vulnerability Scanner to discover vulnerabilities on your network. Find out if you are vulnerable or not. Scan your site for security vulnerabilities. Design your Web perimeter IT Security Policy. It is recommended to deploy weekly or at least monthly scans of all your Public IP addresses you have pointing out to the internet. Find out if you are open to attack. With the Stencils you can easily design your network schematics to fit your site. Design your network typology to contain the best cloud based security vulnerability scanning. Below you can download the Stencil images to use in your diagram. 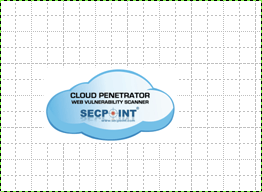 Click to download Cloud Penetrator stencils.zip file here.